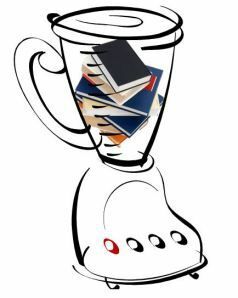 There has been a lot of discussion as to what blended learning really means. Most of us have come to realize that it probably involves the classroom and technology. In fact, the 1 to 1 programs across the nation emphasize the technology as an important component of classroom instruction. Yet, is emphasizing technology in the classroom really Blended Learning? The answer is… maybe! A closer look needs to be taken in order to see how the technology is being used. The blended learning experience allows technology and the online experience to breakdown the traditional classroom allowing important transformation. One might wonder where on the spectrum of simple integration to blending learning a possible learning activity might be. I would like to share a lens of ten ideas that educators may wish to look at as they reflect on their 1 to 1 activity and classroom learning experiences that use technology . Sometimes it is just a simple tweak to bring out the wonderful possibilities of blended learning. Please feel free to read my ideas below that might allow you to use classroom technology to bring out a richer and blended learning experience. As we continue to explore technology facilitation and 1 to 1 learning experiences it is important that we understand the blurred line between simple technology integration and blended learning. While simple technology integration is a wonderful step, it is important to reflect and refine our practice and allow our classrooms to provide opportunities for real authentic blended learning experiences.